For the Mini LD47, I created a remake of my 1995 QBasic RPG called Mystic Sword. The game was created using Unity and Blender. So far, it just has a title screen and battle between the party (Fighter and Wizard) against an Imp. An ATB (Active Time Battle) system was also added, indicated by the bars next to each character’s stats. See the comparisons between the 2013 and 1995 versions below. This was a simple remake of the battle system of my Mystic Sword game. It has two characters in the party (Warrior and Wizard) and an Imp enemy. Press space to progress through the battle. Mystic Sword was a Role Playing Game (RPG) game that I developed in QBasic back in 1995. Download the QBasic source code on GITHub (Download ZIP). To run the game you need DOSBox and QBasic. 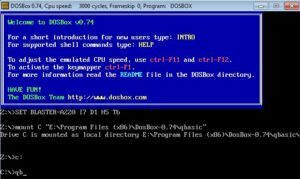 Extract the source code file and move the “MS” directory into the QBasic directory. This is necessary due to the directory path format of the save files. Otherwise, you will have to fix the path in the source code. 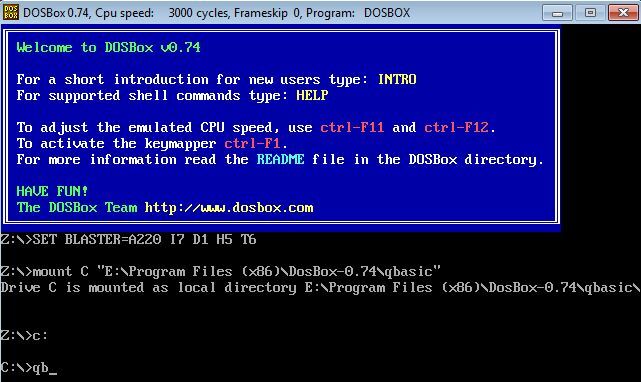 Note: These commands can be added in the [autoexec] section of the dosbox-*.conf file. 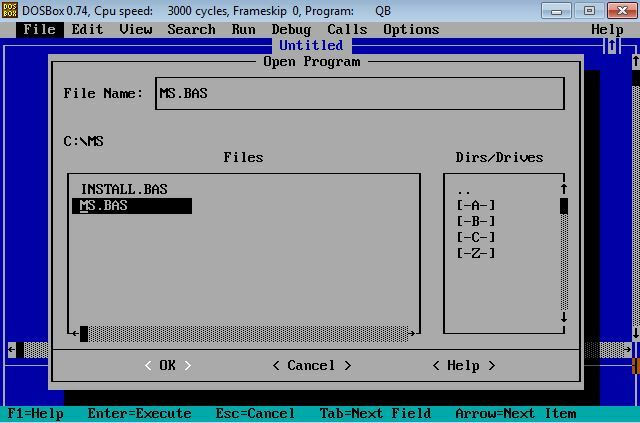 In the QBasic editor, select File, Open Program, open the MS directory, and then select MS.BAS. It will probably take a few seconds to load and dis play “Loading and Parsing” in the status bar at the bottom. After it has loaded, you should see code with many DECLARE statements. Now select Run, Start (or press Shift + F5) to start the game. You may have to press Space after it starts. Use the numeric keypad to select characters (4 and 6) and move around in the world (8 = up, 2 = down, 4 = left, 6 = right). Note: You can view the sub routine code in the QBasic editor with View, Subs (or press F2).